Sen. Bernie Sanders, I-Vermont, tweeted during the GOP presidential debate Thursday night that he could beat Donald Trump in the general election. At the debate, Ohio Gov. John Kasich said that if Sanders becomes the Democratic nominee, Republicans are "going to win every state." Sanders weighed in on Twitter with a graphic showing hypothetical match-ups between him and Trump, Sen. Ted Cruz, R-Texas, Sen. Marco Rubio, R-Florida, and Ben Carson in which he would defeat them all in a general election. The graphic seemed to reflect a Quinnipiac University survey released in early December. 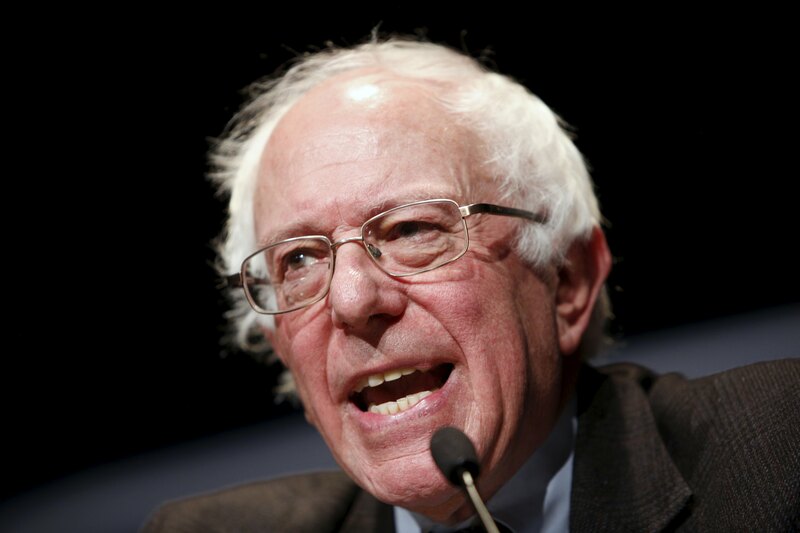 It found that Sanders would top Trump 49 to 41 percent, beat Rubio 44 to 43 percent, defeat Cruz 49 to 39 percent and beat Carson 47 to 41 percent. That poll also found that Clinton had widened her lead at the time over Sanders to 60 to 30 percent. While Clinton leads nationally, the races in Iowa and New Hampshire have tightened significantly between the two contenders.